Marvelous Multiagers! : Fun With Friction! Today in school we learned about friction! We started by talking about riding our bikes and how we'd rather ride on a smooth road than on the grass. This was an easy connection to the idea of friction! We moved onto an exciting experiment to test out the force of friction. 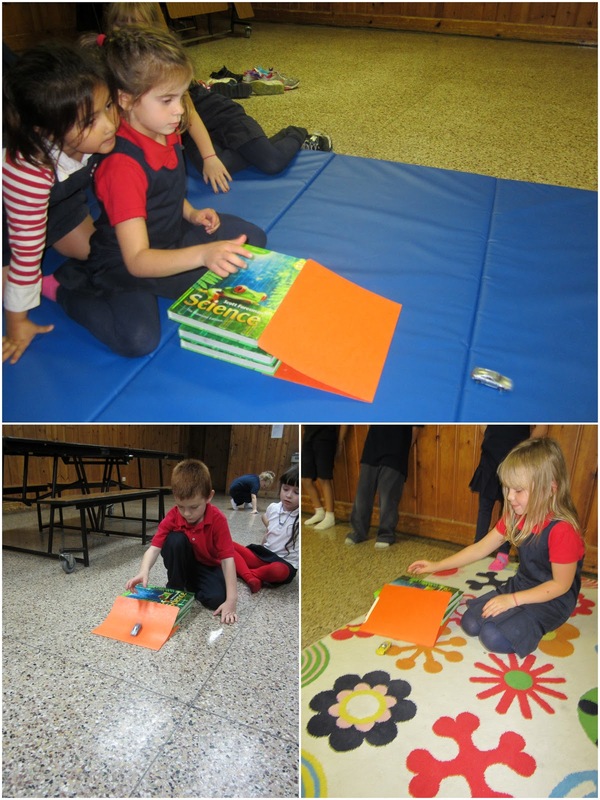 We set up ramps and rolled Hot Wheels cars around! I tried a LOT of combinations to make a good ramp with the supplies I had on hand in my room and in the building. Three textbooks and a file folder provide a nice, smooth ramp! We tucked the edge of the file folder underneath the stack of books to stabilize it a bit. Then we tested the friction of three surfaces - the cafeteria floor, our reading rug, and a tumbling mat. It was a really fun experiment, and everyone totally grasped the idea of friction! Jill, what a beautiful blog, and I enjoyed reading your posts! I am a new 2nd grade blogger, so it's nice to meet up with you! My best buddy teaches a k-2 in a small district, so I can relate...a little bit! I'm your newest follower! Hi! I love your fun friction activities!! Just found your blog, I'm your newest follower!